Detroit police will soon integrate facial recognition software into the department's Project Green Light video crime monitoring program. When the new Detroit police Real Time Crime Center opens in November, police said the new software will be integrated into the Green Light program, under which high-definition video feeds from participating gas stations, convenience stores and other businesses are monitored by police and civilians. Police say the software will be used only to investigate violent crimes, and police will compare violent crime suspects against driver's license photos from the Michigan Secretary of State, pictures posted on social media, mugshots of criminals and other public databases. 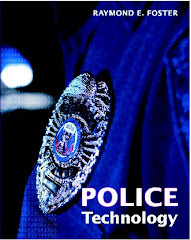 Civil rights groups have expressed concern about the use of the technology by law enforcement. Delaware County in Pennsylvania is using handheld laser detection technology to quickly detect and identify drugs, including powerful opioids such as fentanyl. The $50,000 machine will be used primarily by narcotics officers in the county's criminal investigations division, but it will be available for other uses. Officials said the device can also identify explosive devices. New York City first responders recently conducted a critical incident training exercise at Grand Central Station and tested new technologies provided by the U.S. Department of Homeland Security Science and Technology Directorate. The New York Police Department, the Fire Department of New York, the Metropolitan Transportation Authority Police Department, New York State Police, and the National Guard participated in the exercise. S&T and the responder agencies selected existing and emerging technologies for the exercise, including those that address issues such as blue-force tracking and situational awareness, gunshot detection and video analytics. Police in West Memphis, Ark., say an intelligence project that helps the police department deploy officers in targeted areas has helped reduce violent crime. Police said violent crime has dropped 16 percent in the nine months the program has been in use. The project is an enforcement effort that targets specific locations and people that are causing a disruption in the community. A small group of police officers in Albany, N.Y., was set to begin using body-worn cameras on patrols starting November 6. Acting Albany Police Chief Robert Sears said the devices will be distributed to about 10 or 11 officers at a time, until all 250 cameras are deployed. The devices will eventually be worn by all patrol officers, traffic safety officers, K-9 handlers and members of the Neighborhood Engagement Unit, and turned on during calls for service and street encounters. Utah is the 29th state to opt in to the FirstNet system, a nationwide public-safety broadband network. Under the law that established FirstNet, governors in all 56 states and territories have the choice of either accepting the FirstNet deployment plan and allowing AT&T to build the LTE radio access network within the state's borders at no cost to the state, or pursuing the "opt-out" alternative, which would require the state to be responsible for building and maintaining the radio access network for the next 25 years. To date, the U.S. Virgin Islands and Puerto Rico territories have also opted-in. The Garden City Police Department in Kansas is now offering the availability of Text-to-911 for emergencies. The program is intended for individuals who can't safely talk on the phone during an emergency. It also is expected to be a valuable service for citizens who are deaf or hard of hearing, unable to speak due to a medical condition, and who may be involved in abduction, domestic violence or active shooter situations. The Pennsylvania Department of Corrections recently hosted a delegation of prison officials from Norway to tour four state prisons and exchange ideas on prison reform. The group visited correctional institutions representing different security and focused programming, including maximum security, a diagnostic center, drug treatment and a facility for female inmates. Officials shared their ideas on modern corrections and discussed the practical and philosophical goals of prisons. The Alabama Department of Corrections will seek a project management team to develop a master plan for existing and future prisons. The department recently opened bids for the team that would develop construction and renovation plans. Proposals are due Dec. 4. This article discusses efforts and proposals by New York officials to address health care and other needs for the aging prison population in the state. Efforts include expanding "age-appropriate" programming for older inmates and working toward opening a new dorm that will house 60 senior inmates at one correctional facility. Inmates of Rikers Island have an opportunity to work in a long-standing horticultural program as part of rehabilitation. The program, which began in 1986, is a collaboration between the Horticultural Society of New York and the city's Education and Correction departments. Participating inmates can garden two hours a day, receive $20 a week, and receive a certification and help finding work on the outside. More than 100 sheriffs and public officials in Indiana have signed a petition asking the state's Medicaid director to change the approved addiction treatment for inmates from suboxone strips to pills. Officials say pills are harder to sneak into jails. The strips are often laced with opioids and are designed to help addicted inmates ease off of drugs by releasing a small amount of the addictive chemicals into the bloodstream, but the strips are being smuggled into jails. A gunshot detection system, surveillance cameras and GPS helped police track down a parolee who fled a Hartford neighborhood after allegedly firing shots, police said. No one was injured during the incident. The gunshot detection system alerted police that three shots had been fired. Officers responding to the location were unable to find a victim or shooting scene. Detectives checked surveillance video and recognized the suspect fleeing the area in a car, police said. Police learned that the suspect had been released on parole recently and was wearing a GPS monitor, which led police to the suspect, who was arrested. Almost 700 cellphones and accessories have been found this year at Jefferson Correctional Institution, compared with 394 phones and accessories last year, according to Florida Department of Corrections records. The agency provided Channel 9 with a list of how many cellphones and accessories have been confiscated during the last four years at each of the state's 151 institutions. Since 2014, some 38,179 cellphones and accessories have been found. The department said it has installed x-ray machines at staff and visitor entrances at its institutions, and a new intelligence unit is examining innovative approaches to keeping cellphones out of prisons.